There’s been much discussion in recent years about different sexual identities, a once-controversial topic, but it’s safe to say that polyamory (romantic relationships with more than one partner) is less understood, and less widely accepted. 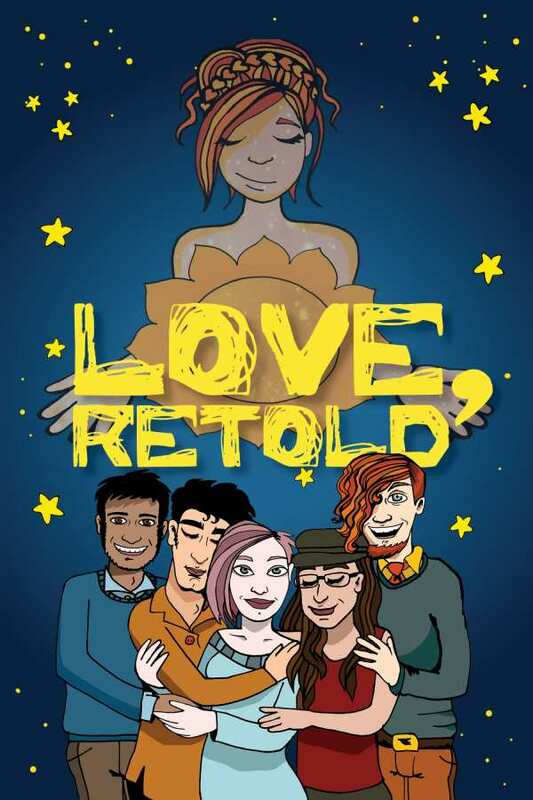 Tikva Wolf shares her experiences of love, in all its forms, in her graphic novel Love, Retold. Told in an intimate narrative style, Wolf uses lots of first- and second-person pronouns: “You grew a beard while I grew a baby.” The relationships depicted aren’t fully described right away; rather, they’re revealed through the respective chapters, in text and image. While at times it feels like the narrative is more like a diary, not meant for a wider audience, Wolf’s honesty of emotion, freely expressed, makes up for any momentary confusion. She touches on dissenting views, like when she quotes her husband saying “Polyamory? I’m not really into that.” Later, he seems to accept the idea, but it would have been interesting to hear more from him and the other parties featured in the book. People talk about ‘soulmates’ and ‘life partners,’ reserving these special titles for romantic partnerships alone, but I feel more deeply sure about her remaining in my life than any romantic partner I’ve ever had. Wolf’s color artwork is raw and cartoony, but more than adequate to tell her tale. Love, Retold is an apt title—Wolf’s book doesn’t necessarily aim to redraw the lines of a largely monogamous society; instead, by relating her personal experiences, she looks to encourage individuals to simply find what works best for them and embrace it.